Special Finance Leads and Auto Sales Leads for auto dealerships are available nationwide through AZ Auto Loan special finance dealer leads program. If you are looking for a good reliable source to provide you with exclusive special finance sales leads we can help you. 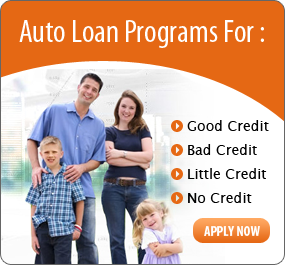 We provide special finance dealers with exclusive sales leads that are generated from web sites which customers find because they are looking for auto financing. Internet Special Finance Leads will increase your sales and provide you with a steady flow of customers who are in the market to purchase an automobile. If you have tried other forms of advertising like newpaper or magazine ads you know that your probably not attracting or converting sales like you want to. Instead of having your sales team answering phones for people who want to shop by phone don't you think it would be better to have your sales people calling people who have already expressed an interest in buying a car? Our customers are looking for a dealership that can help them and we will deliver each special finance lead to your email within second of submission? Special Finance Leads, Sub Prime Auto Leads, Leads for Auto Dealerships are available in all states and once you try our special finance lead program you will soon realize that you have just found a good solid investment instead of an added expense for your dealership. If you would like to see if you area is available please complete the form below and one of our representatives will contact you. By submitting this form I agree to have a representative from AZAutoLoan.com to contact me. I fully agree that in accordance with the CAN-SPAM Act of 2003 act that it is permissable for an AZAutoLoan.com representative to contact me by either phone and/or email. Requests are generally answered within 2 hours during regular business hours.